Divas. These days, that word is usually treated with disdain. We associate it with arrogance and haughtiness. We all know a few artists who have a ridiculous sense of self-entitlement. And though they might take themselves very seriously (and maybe a few of their fans too), the rest of us will laugh behind their backs. 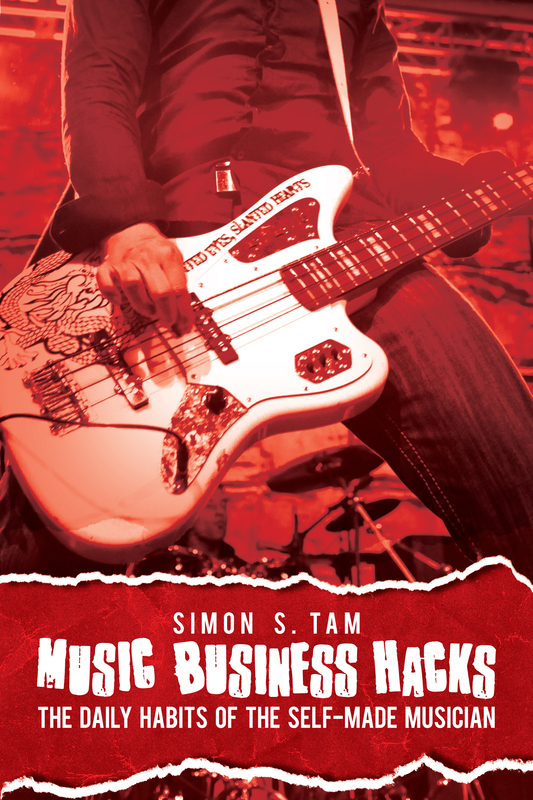 There’s no question that the music industry is riddled with egos, self-promotion, and sales tactics. But there is a point where overselling yourself will cause eyes to roll, hurt your ability to get gigs or deals, and make people take you less seriously than they perhaps should. This goes for the pitch that you make about your band, the agreements you set up, and even how you approach crowdfunding. And while it’s easy to spot in others, inflated self-importance is one that is often hard to see in our own behavior. While playing internationally (successfully) is often a milestone in a band’s career, it does very little for local promoters, labels, or venues who want to see if you can impact their specific regions. The reality is that it doesn’t matter if you are an international band if nobody has heard of you. Playing SXSW is the new “we opened for Nirvana” kind of line that you hear. True, the festival is often used to indicate status in the industry. Of the 250+ submissions a week I receive, at least a third claim SXSW alumni status. However, a quick search will often reveal that most of these artists did not in fact play an official SXSW showcase. That’s a big red flag that the artist might be overselling themselves in other areas as well. What to say instead: “We’re a candidate for a SXSW showcase,” “We’ve played several SXSW sanctioned parties during the festival,” or just don’t mention the festival at all. If you want to play SXSW, be sure to this article: How to Book SXSW and Is It Worth It? There’s no question that social media plays an important role for artists these days. However, because so many are buying fake Facebook fans, it’s hard to establish credibility on follower count alone. If a quick glance at your page reveals little engagement, that will only hurt you. Besides, venues don’t care about how many fans you have online – they care about how many fans you have in that market who will go to your show. If you have 70,000 followers but a status update can’t bring out 70 fans, then that shows a real disconnect. Things rarely go perfectly in the music industry and service providers will sometimes fail their clients, but the ultimate responsibility for your career rests with you. If you have a history of burning bridges, of lost deals or being ripped off, if you have trouble trusting managers, PR firms, or booking agents, there’s a chance that the problem might not be everybody else – it could be you. Even if someone else did fall through on a commitment or something happened, it’s often best to simply apologize and find an amicable solution rather than throwing down an ultimatum, ranting to neutral parties, or avoiding personal responsibility in the matter. It’s a small industry with many established relationships, and chances are, talking trash about someone else could come back to hurt you, even if you think you are in the right. We often think that the term “promoter” is a contradiction, especially since so many rely on the artists that they book to do the actual promotion (this is why many venues have started using the term “talent buyer” instead). Promoters/venues know that artists who have a good draw often don’t need promotion; it certainly helps, but they don’t depend on it for success. Amanda Palmer is famous for her “ninja gigs,” surprise shows that bring in huge crowds with only a few hours’ notice. What the promoter really wants to know from you: is promotion ideal or is it essential? Sold out shows are quite rare, especially shows that are sold out due to door admission and not pre-sale tickets. When shows are sold out, promoters notice right away and eagerly jump on that artist to return. However, exaggerating the audience never helps in the long run. It’s always best to undersell and overdeliver – your draw is no exception…especially if you were the opening band and the main draw wasn’t your audience at all. By spending more time weighing your words and considering what kind of impression they will leave on others, you’ll become much more effective in your booking and pitching. Nobody wants to gain a reputation for being a diva – though this an ego-driven industry, most people prefer to work with those who are humble, hardworking, and let their actions speak for themselves.